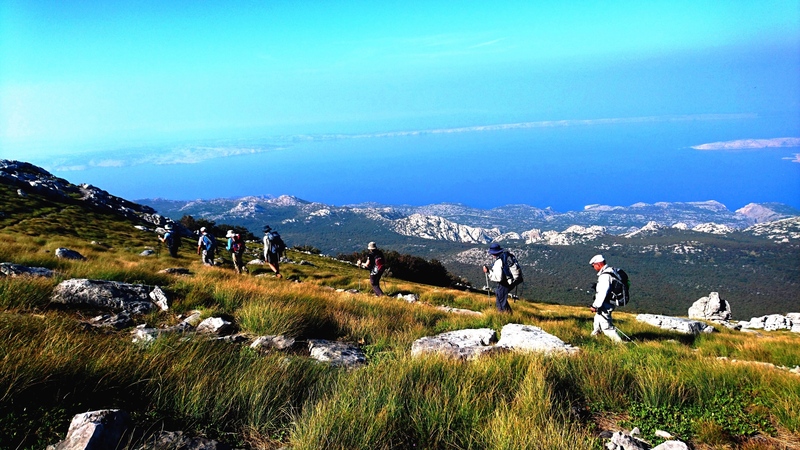 This program will show you diversity of Croatia. 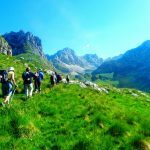 From continental part to the seaside you will walk from the asphalt street in Zagreb through green forest paths in Plitvice lakes and rocky roads in Starigrad Paklenica. 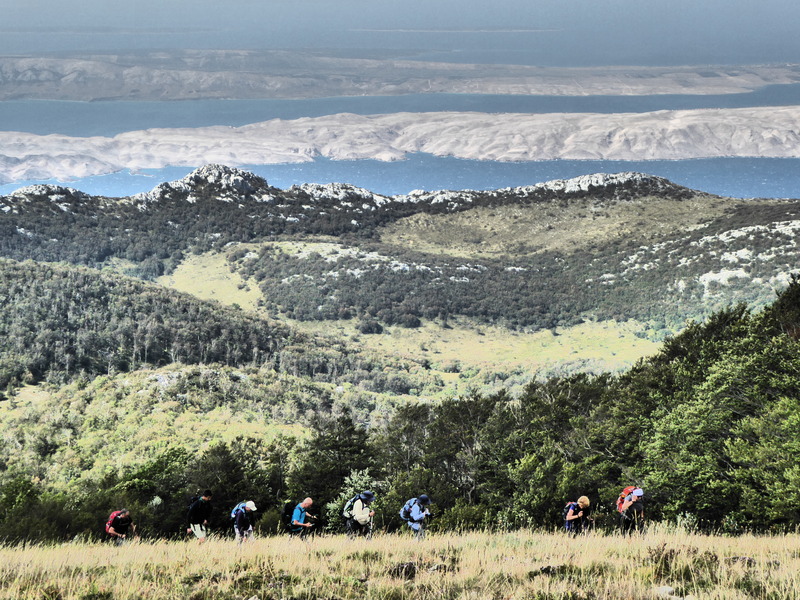 At the end you will enjoy in another green paths in National park Krka and finish will be on a beautiful beaches in Biograd na moru. Stunning views, exquisite beaches combine with local tradition and customs mixed with great food and wine ( and a little grappa ) will make a holiday that you will never forget. Arrival to Zagreb. Accommodation in the hotel (bed & breakfast). Morning free for visit of Zagreb. Bus to Plitvice lakes, during the day. Arrival to Plitvice lakes. Overnight in the family pension or in the hotel. 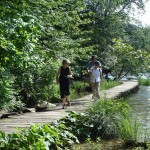 Full day visit of the NP Plitvice lakes (Upper and Lower Lakes). Overnight in the family pension or in the hotel. 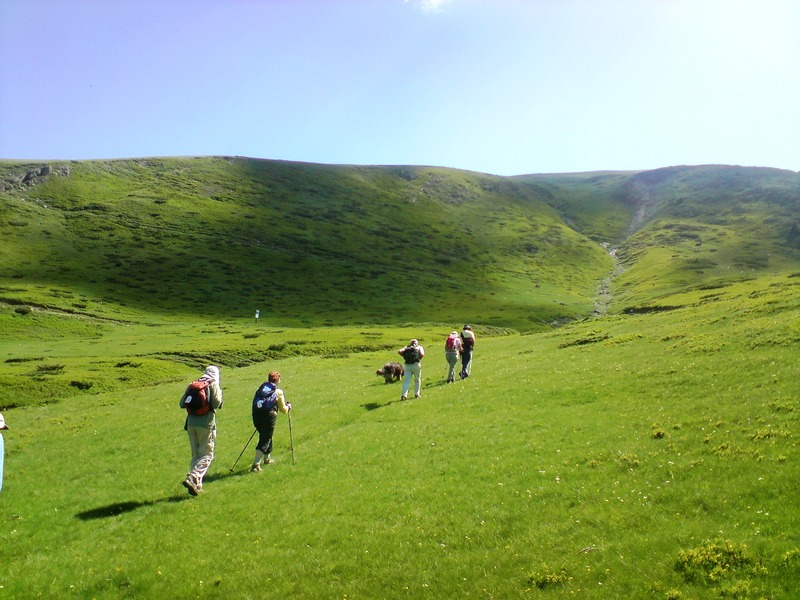 A 3h walk to Medvjedzak mountain, ending near the Big Waterfall, at the end of the Lower lakes. 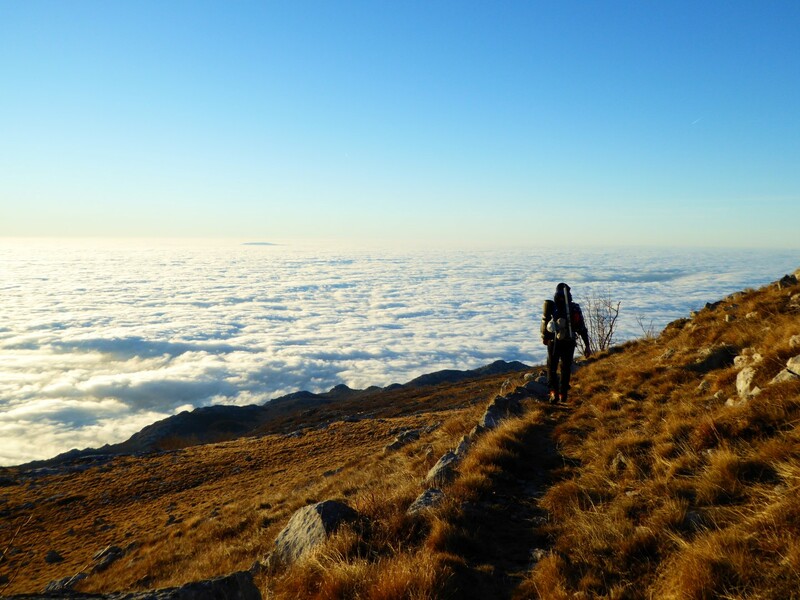 Possibility to prolong the walk, according to client’s wishes (circular walk around Kozjak lake, for example). In late afternoon, PRIVATE transfer to Starigrad Paklenica (this is due to unreliable bus connections at Plitvice, especially for Starigrad Paklenica area). Accommodation in the family pension or in the hotel (bed & breakfast). 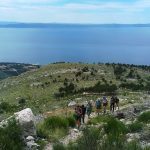 Circular walk Starigrad Paklenica – village Tomici – below Vidakov Kuk (at 715m) – Ramici – Jurline – Mocila – Starigrad Paklenica; this is a very nice walk, a bit long but not too difficult – it would suite the clients who are keen on walking; they have to do the climb to 715m, which can be hot during the warmer period but the scenery is nice and they pass 2 old villages. 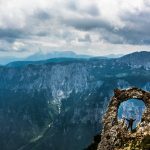 Whole day visit of Velika Paklenica, the main canyon of the park. 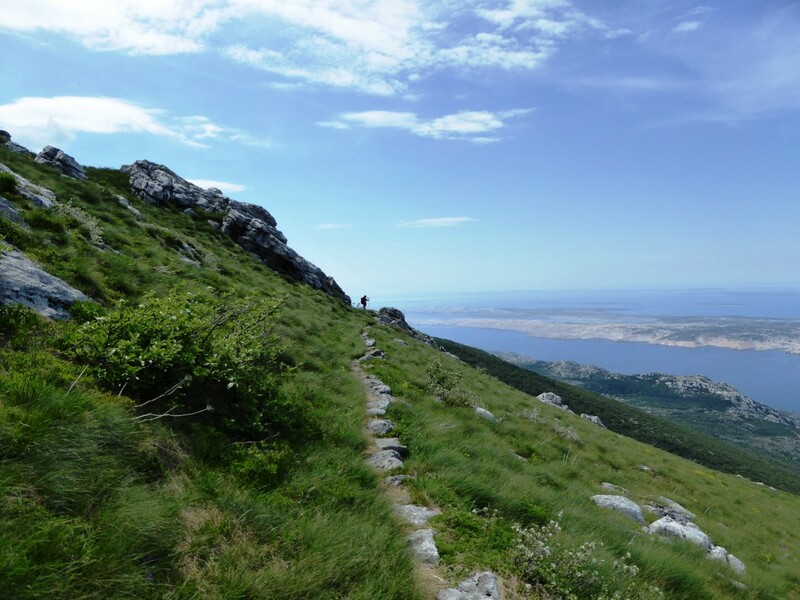 Start of the hike from Starigrad and ascent through the canyon, admiring the grand rocky limestone cliffs that rise over 300m (almost 1000 feet) above us. On the way, possibility to do a 45min ascent to the entrance of Manita Cave, where we organize a guided tour through this beautiful example of the underground world of the Dinaric mountains. Late afternoon transfer to Biograd na Moru. Overnight in the family pension or in the hotel (bed & breakfast). 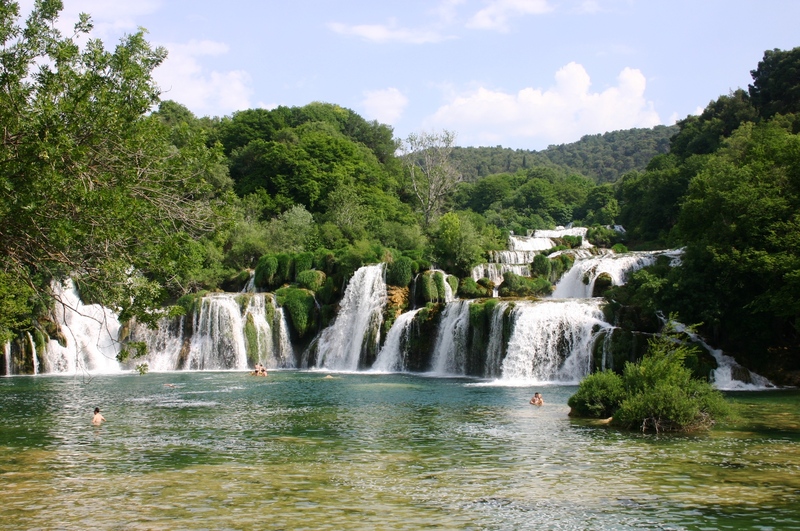 Local bus to Sibenik and continue to Skradin and National park of Krka. Visit of the national park. Optional: boat to island of Visovac and to the Roski Slap. In the afternoon, return to Biograd na moru. Accommodation in the family pension or in the hotel (bed & breakfast). Public bus to Split/Zagreb and flight back. Transfer time to Split is about 3h. Transfer time to Zagreb is about 4h. Zagreb airport – Zagreb accommodation. Public bus 6,00 €, taxi 35,00 €. Located in the very heart of Zagreb opposite the main railway station and close to the bus station and the terminal for Zagreb Airport. Only a 10-minute walk from the hotel through Zrinjevac Park, one of the most beautiful parks in Zagreb, will bring you to the main square and the historic center of the city. Popular coffee shops, well-known museums, galleries, shops, the Dolac market, and sights of the medieval area of the city are all within easy reach. Hotel Plitvice was designed by renowned Croatian architect, Marijan Haberle, and constructed between 1954 and 1957. At the time it was built, it was the first hotel of the so-called „A“ category both in Croatia and in the region. The building represented one of the best architectural pieces (public use buildings) of post-WW2 time in Croatia. The hotel includes a car park and a souvenir shop, and provides luggage carry services, a reception desk open 24/7, an exchange office, a safe, laundry services, room service and internet access. Tinka guest house is situated in the peaceful place, 200 m far from the main road. It is ideal for those who want to spend their holidays immersed in a natural, quiet surrounding. It has a beautiful garden with a lot of trees. There is a parking place and a big garage for 4 cars. 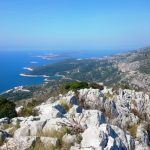 In addition to walking along long sandy beach, swimming in crystal clear sea water and resting in shadow of tamarisk trees, you may also visit Velika and Mala Paklenica canyons, where griffons inhabit and the remote hamlets situated at the foothill (ethno villages), in which you still may find a rare older native who will gladly chat with you, offer you brandy and dried figs. VILLA MAIMARE is a small family hotel build in 2006 with attractive appearance and pleasant atmosphere. It is situated in the center of Biograd, near beaches and pine trees surrounding tennis courts ( 50 meters ). Villa Maimare is an ideal place for those who want to relax in quite surroundings and yet be in the center of town’s events. Modern, comfortable and luxuriantly equipped rooms will make your stay pleasant and relaxing. All breakfasts are included throughout. This program will give you a chance to taste the gastronomical variety of different Croatian regions – from the light Mediterranean cuisine in Biograd na moru and Starigrad to the strong cuisine of the green Croatian continent – everything from sea and river fish, calamaris and squids to the lamb and veal meat, potatoes, cheese, local grown vegetables and fruits. 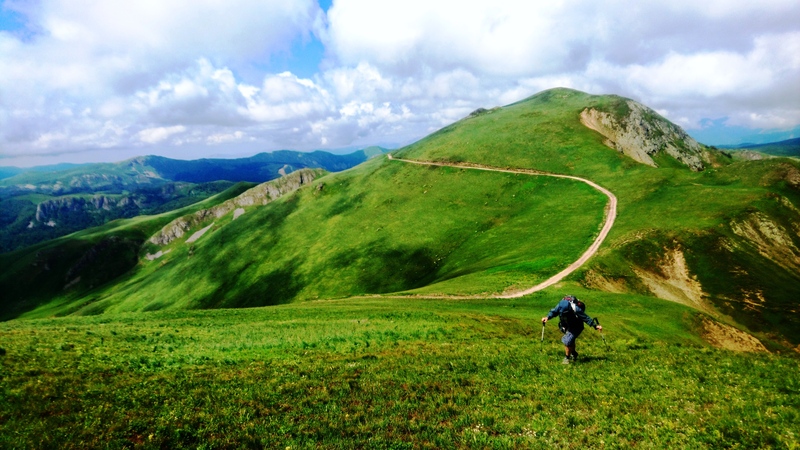 This program is dedicated to nature lovers who like to do medium difficulty walks, usually up to 12-13km distance, with altitude difference of a maximum 750m (mostly up to 500m). 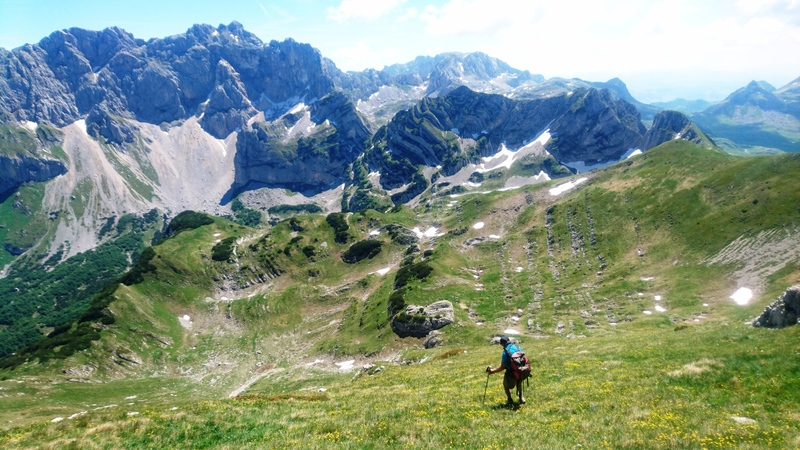 Trails vary from rugged rocky limestone terrains to dense forests and easy paths following the lakes and rivers of the national parks. 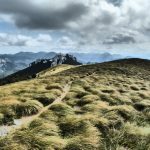 Some hiking experience is desirable, although anyone with a reasonable level of fitness can do the program. This is a self-guided holiday but if you want our expert local guide please contact us for details. 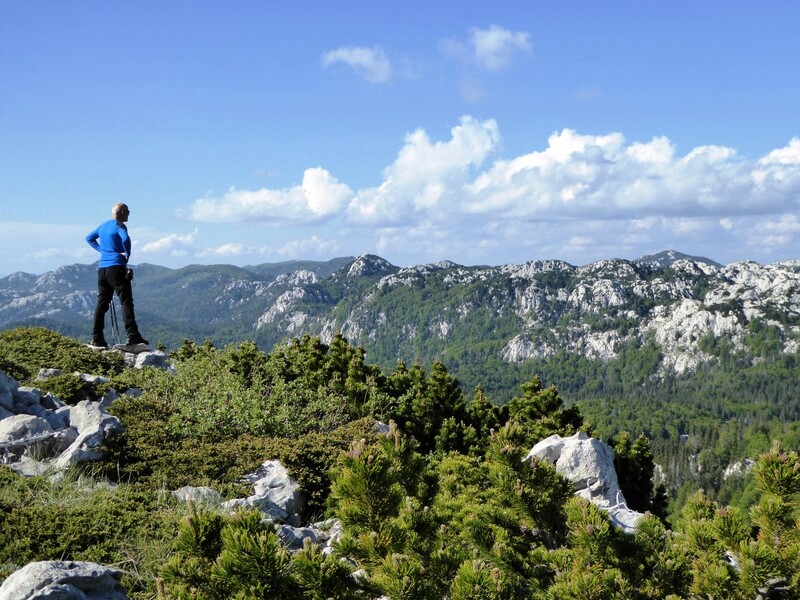 This tour takes you from the capital of Zagreb to the seaside through 3 National parks. 3 different climates will offer something for everyone. 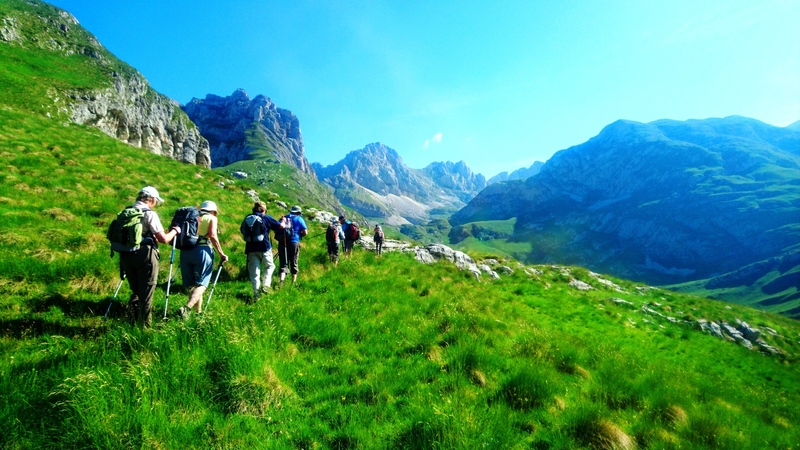 If you like green forest paths, or rocky mountains, beautiful beaches or walks in the big cities on this program you will find everything. Climate can be various but our tours are run in periods when the weather is usually stable, be sure to be ready for sun & rain. Warmer clothes for the Plitvice lakes and National Park Paklenica (depend on the date of traveling), but also a hat and sun glasses for the strong Adriatic sun.